Exports of Scotch whisky experienced mixed fortunes in the first half of 2017, with shipment volumes down 2.2%, but value up 3.4%. The figures – released by the Scotch Whisky Association (SWA) and based on HM Revenue & Customs (HMRC) statistics – reflect the rising popularity of single malts and the economic issues facing a number of Scotch’s key markets. Total export shipment volumes fell 2.2% to 528m bottles, while value was up 3.4% to £1.77bn, the SWA said. Single malt exports increased 7% to £479m, accounting for more than one-quarter of total shipments of Scotch whisky overseas. Positives included the continued strength of the US market: total shipments rose 10.5% by volume to 58.7m bottles and 8.6% by value to £387.9m. 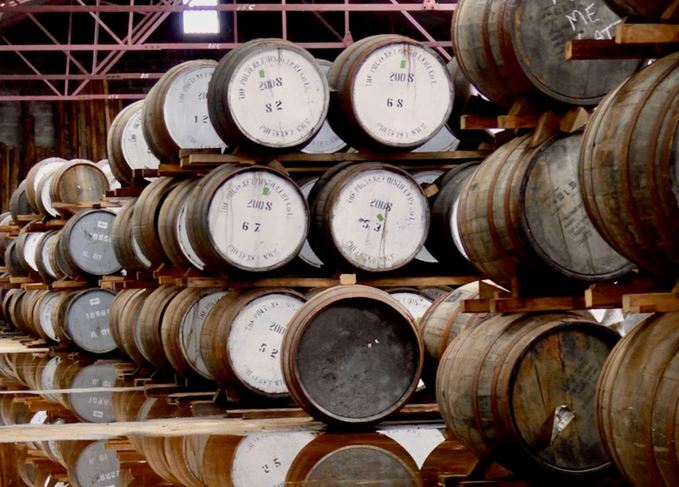 That made the US almost twice the size of the next-largest market (France) in revenue terms, with single malt shipments to the US rising 14% to £123m. The SWA also highlighted a return to growth for China – up 25.9% by volume and 45.3% by value – after several years of steep declines. Elsewhere, Germany, Mexico, Singapore, Japan, Australia, Latvia (a key conduit for exports to Russia) and Italy all registered shipment increases in the first half of the year. However, export shipments to Scotch whisky’s largest market, France, were down 6.8% to 85.9m bottles, and there were steep declines in Spain, Brazil, South Korea, the UAE and Thailand. Exports to India – Scotch’s fastest-growing market in the past few years – also fell, declining 4% by volume and 8.8% by value. The figures are particularly concerning given Scotch’s return to export growth in 2016, and in the context of mostly favourable exchange rates following the fall in the value of the pound after last year’s Brexit vote. SWA chief executive Karen Betts welcomed the growth in the value of exports as ‘great news’, adding: ‘It is good to see demand for Scotch increasing in a diverse range of mature and emerging markets around the world. Earlier this month, the SWA revealed that UK sales of Scotch had fallen by 1m bottles in the first half of 2017, blaming the decline on Chancellor Philip Hammond’s decision to raise excise taxes in March and calling for a tax cut in next month’s Budget. Taken together, the export and domestic shipment figures mean that total Scotch whisky shipments were down 2.3% to 565m bottles in the first half of 2017. Export volumes rise for first time in three years, but value falls in mixed first half of 2016.